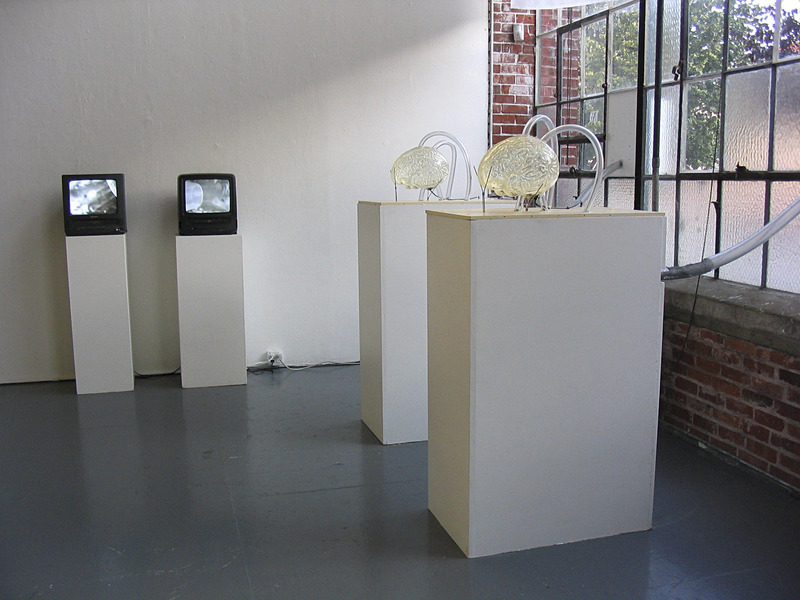 Two beehives [Apis Melifera], two mini video cameras, two TV sets, polyurethane, wood, acrylic tubing. 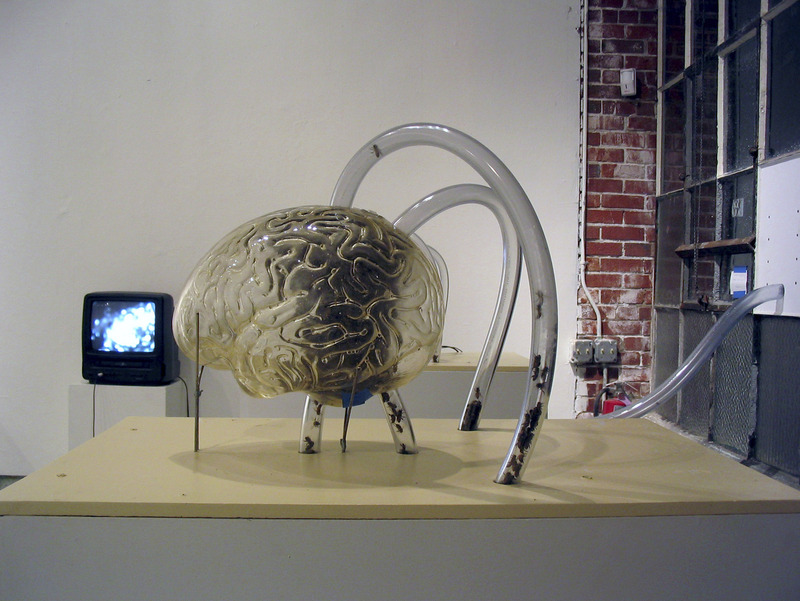 Dimensions vary. 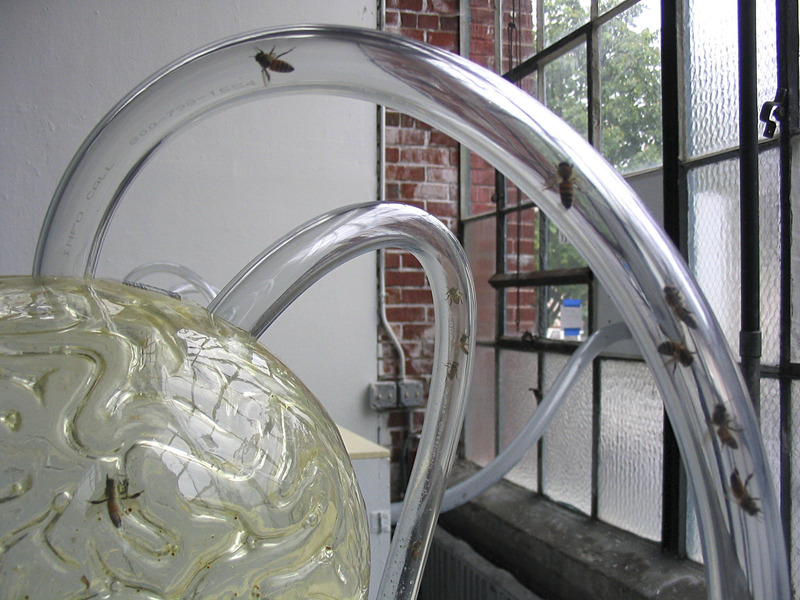 Philosopher’s Stone is a process-based installation dependent upon two communities of bees. 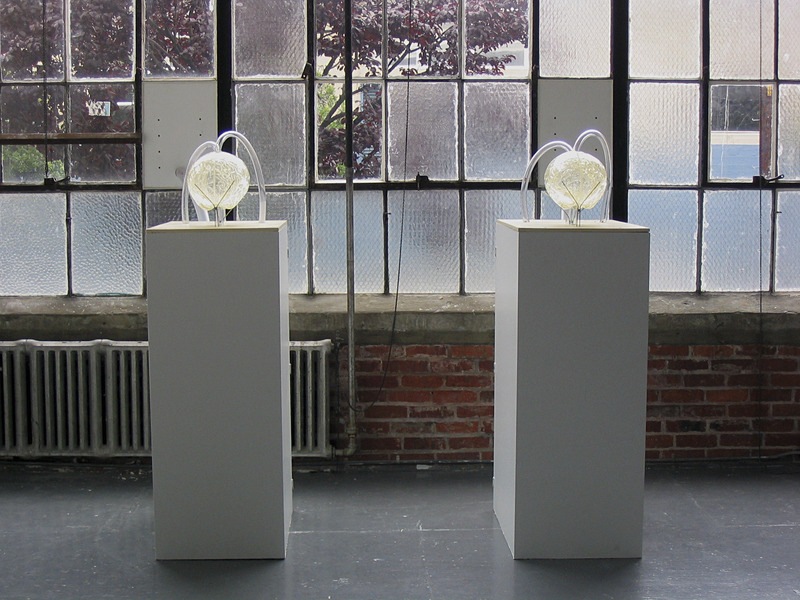 For a period of one month the bee colonies live in the gallery and collect pollen from the surrounding area. 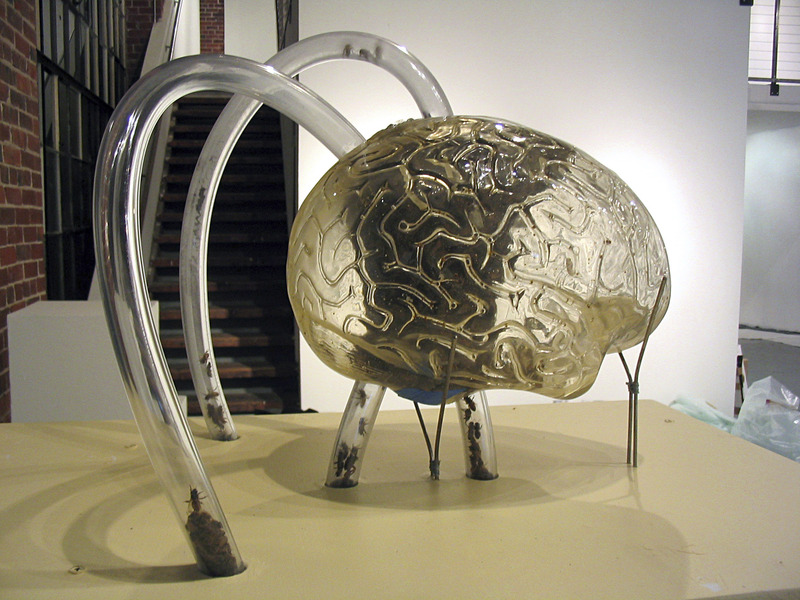 As the beehives grow, each begins to build a honeycomb inside the clear human brain shaped forms provided. 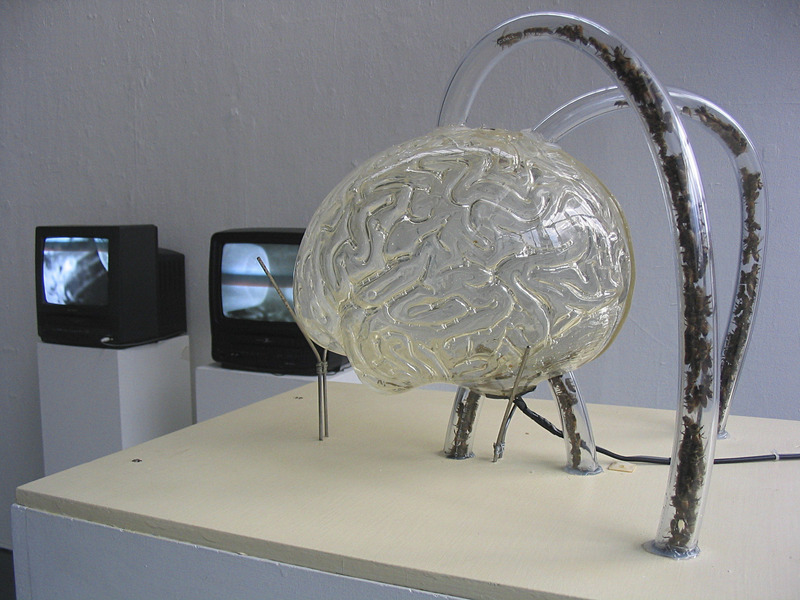 Two television sets project close-up views from the interior of each brain. 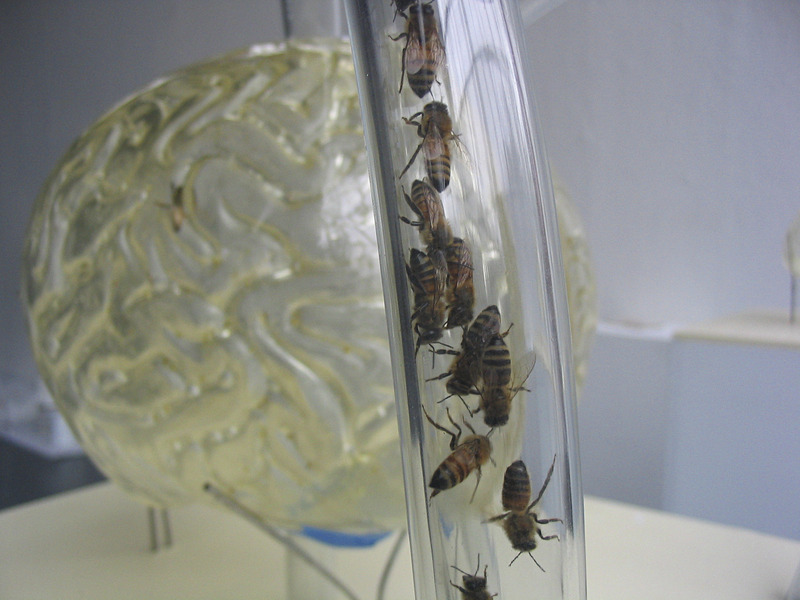 The visitors are invited to observe how two beehives develop “honeycomb brains” throughout the five weeks of the exhibition. 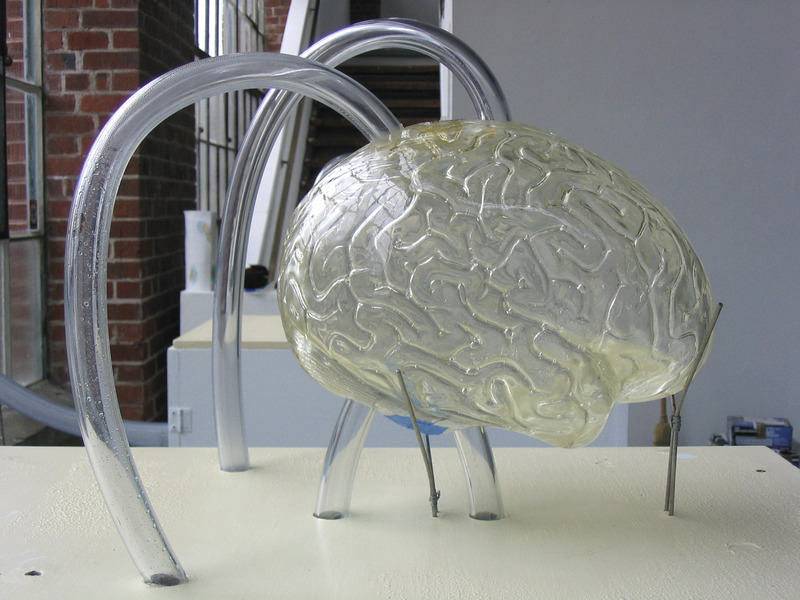 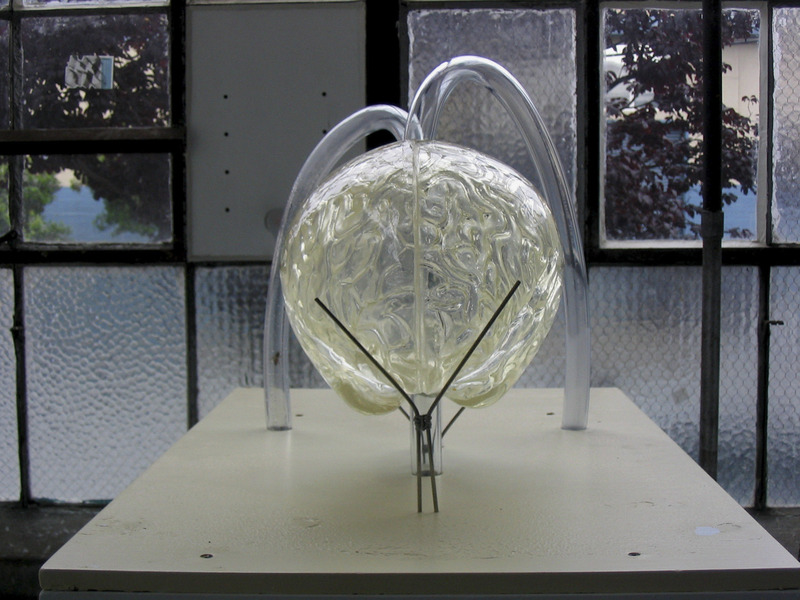 The main goal of this project was to observe how the genetic programming of the bees, as it relates to the building of the comb, interacts with a predetermined shape - in this case the human brain.